Dollhouse Decor & More - Miniatures News! We've been busy! So we thought we'd share what's going on in our miniature corner of the universe! ** Dollhouse Decor & More is part of a giveaway in the October '16 issue #162 of American Miniaturist. ** A story on Chris and her Halloween skellies is also included in the same October '16 issue. 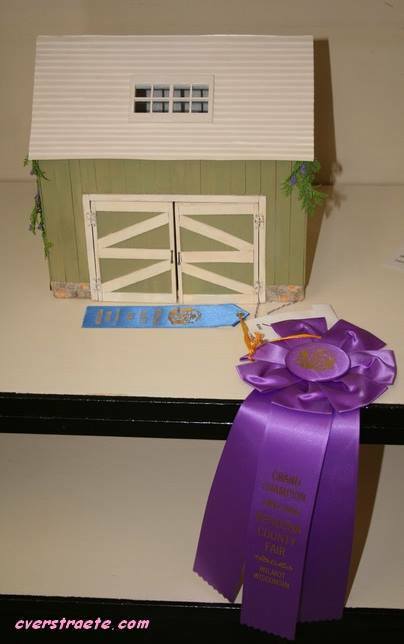 Chris: She was surprised and thrilled to win a Grand Champion ribbon at her Wisconsin county fair for her half-scale garage project. This is her second grand champion ribbon. The first was for her Dogcatcher's House at least over 10 years ago! 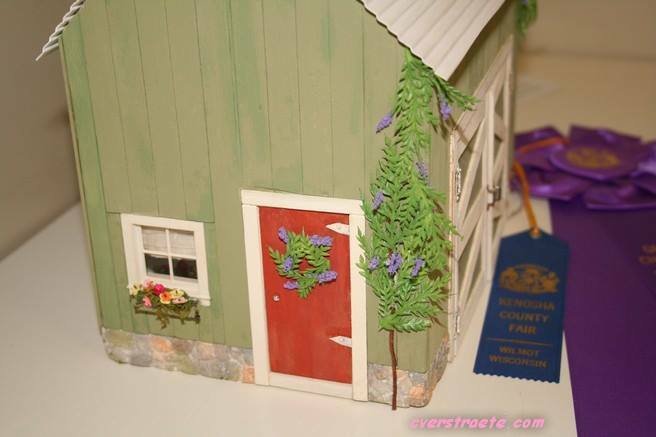 And yes... if it looks familiar, the building is included in the book in Dollhouse Decor & More for the wisteria wreath and the window box flowers. Joanna: Is busy as a bee working on her new project for the Miniatures.com Creatin' Contest. We're sure she can't wait to buzz all about it. 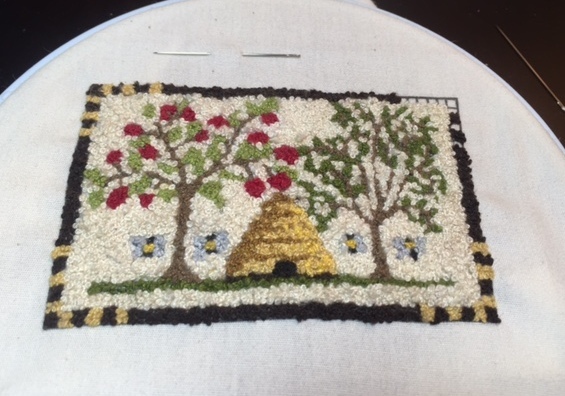 A hint - here's a beautiful rug she's been working on. (Kit by Teresa Layman.) More details to come! Chris: Is super busy getting ready for the Sept. 13th release of her latest book, Lizzie Borden, Zombie Hunter. (But it is available now on Pre-Order at Amazon!) See more about it on our new Other Books page! Joanna: Has also been sharing up a storm about her latest anthology release, a whopping book set - Happy Homicides 4: Fall into Crime, plus Happy Homicides 3: Summertime Crimes. We both have Halloween on the mind, too. Stay tuned for some news on that! Contents and photos © 2016 Joanna Campbell Slan & Christine Verstraete. No copying, reprinting or sharing without written permission. No tracking software used on site. Some affiliate links are used.